Axford, who will assume the Indians' closer role, has never been on the Disabled List over his five-year big league career. 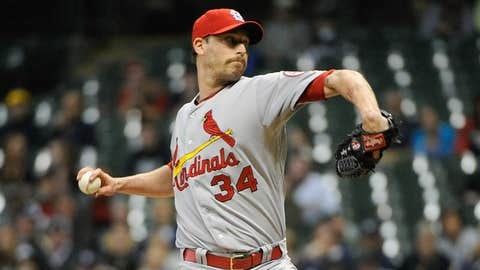 CLEVELAND (AP) — John Axford had other choices where he could pitch next season. The Indians closed the deal. Axford, who had 46 saves for Milwaukee in 2011 but lost his closer’s job last season and was traded to St. Louis, finalized a $4.5 million, one-year contract Thursday and will close for Cleveland in 2014. The Indians initially considered filling the closer’s role within the organization — right-handers Bryan Shaw and Cody Allen were the top candidates — and pursued several veteran free agents before working out a deal with Axford. The Indians weren’t scared off despite Axford struggles last season, when he started horribly and was demoted by the Brewers before eventually being traded to St. Louis in August. Antonetti said the team wasn’t reluctant to give the job to Shaw or Allen, it’s just that Axford was a better option and the club feels he can "bounce back" and be an elite stopper again. "I don’t like to make excuses," Axford said. "I really enjoyed pitching for my country, but I really don’t think my arm was ever ready for the start of the regular season. I had a dead arm and my velocity was down in those first few games of the regular season. But when you give up four home runs and have an ERA of 22 after four games, you can’t be surprised that you’re not the closer anymore." Axford has a 22-19 career record with a 3.29 ERA and 106 saves in 281 relief appearances. He said being a free agent "was fun, but it was difficult." Ultimately, he thought the Indians were the best fit for him because they provided a chance to close again and Cleveland is just a 4 1-2 hour drive from his home in Ontario.